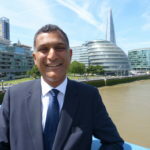 London MEP Syed Kamall has confirmed he will not enter the contest to become next Mayor of London. The Conservative politician, who leads the third largest of the eight pan-European political groups in the European Parliament and acts as an interlocutor between the UK and EU during the Brexit negotiations, said: “The announcement of hustings so soon means I cannot take part and still fulfil my role in helping to get the best possible deal between the UK and EU. “I stand ready to help London and my party in any other way I can. I shall continue to work on engagement with London’s diverse communities and younger voters and put forward ideas on how our party can promote grassroots community conservatism. “We need a mayor who genuinely reaches out to London’s diverse communities and is serious about tackling knife crime and the housing shortages. One who wants to lift people out of poverty and understands the cares and concerns of ordinary Londoners.